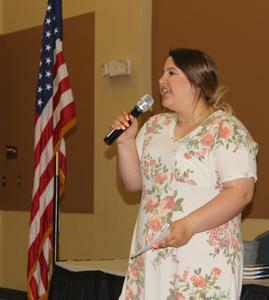 For the second consecutive year, Cleburne High School junior Gracie Walker will be representing Cleburne Rotary Club at Saturday’s Four-Way Test Speech Contest Finals taking place in Weatherford. The five-minute speech presented by contestants can involve any topic, but must be specifically subject to the Four-Way Test, using it as a point of referral throughout the body of their presentation. As a sophomore, Walker went on to win at the Regional level, finishing second overall in the Dallas/Fort Worth finals. Her speech skills earned her $1,800 in Rotary awards, which ultimately went into college savings. She admits to experiencing some personal pressure this year as a returning competitor. Walker’s speech focuses on work ethic and the downfalls of being satisfied with mediocrity. She also talks about choosing to deal with obstacles rather than making excuses. “You can complain that it’s not fair, or you can choose to shatter the glass ceiling,” Walker said, backing her remarks with quotes by Thomas Edison, Steve Jobs and Ronald Reagan. She also shares personal experiences as a member of the wait staff at a local restaurant. Little said Walker’s speeches, backed by her presentation skills, continue to make her a winner in the Four-Way Test competition. One of Walker’s big dreams relates to a career following college. With one year of high school to complete, she is considering pharmaceutical sales while looking at Tarleton State University as the next step in her education. Walker’s speech regarding work ethic and the trap of mediocrity is not just talk, as evidenced by her many commitments and reputation as a student leader. In addition to her part-time job, she is a very involved Yellow Jacket, serving on Student Council, the Superintendent’s Student Advisory Committee, Exchangettes, National Honor Society and Beta Club. She is vice-president of the Cleburne Rotary-sponsored Interact Club. She is also ready for Saturday’s Regional finals. 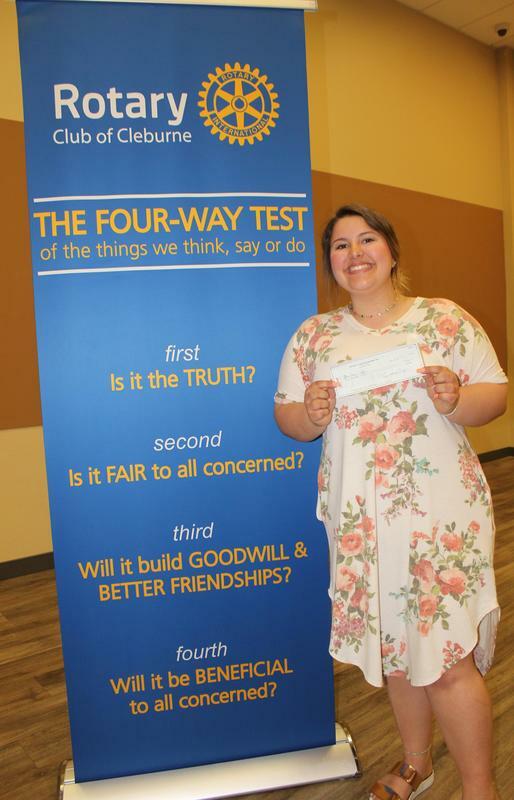 Cleburne High School junior Gracie Walker is the winner in the Cleburne Rotary Club Four-Way Test Speech Contest for the second year. She will be representing Cleburne at Saturday’s Rotary contest finals in Weatherford.